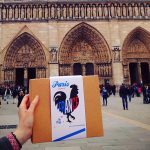 Self-Guided Walking Tours in Paris - Do you want to discover Paris like the Parisians do? With a written itinerary by ParisByM you can navigate through your chosen area. Read more here to learn about the areas you can choose from. 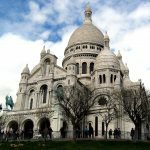 Montmartre Tour - Located in the northern part of Paris, the Montmartre neighborhood is one of the most famous district of the city. 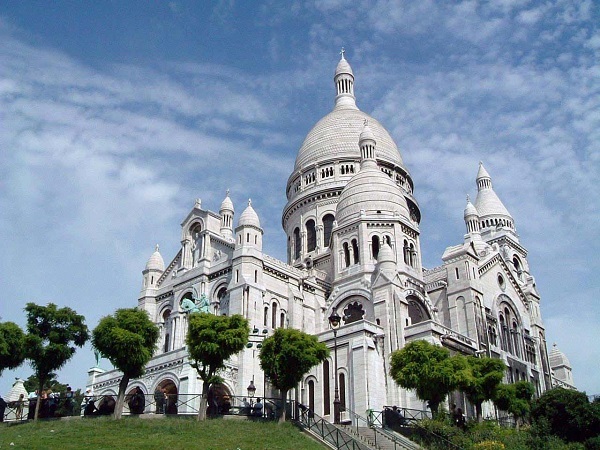 The Sacré Coeur basilica and the Moulin Rouge are not the only attractions. Discover what makes it special! 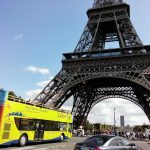 City Bus Tour - A bus tour is a great way to get an overview of Paris, especially if you’re only in the city for a short time. Check here what you should expect to see and experience! 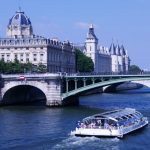 Seine River Cruise - Float comfortably along the Seine River and see famous monuments as you pass by on your boat cruise. To learn more about river cruises and what to expect you can read more here. Louvre Museum - The Louvre museum has many things to see! Find some tips for visiting it. Hours, prices, most famous masterpieces...discover everything about the Louvre. 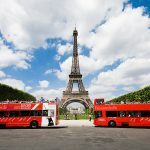 Start your first day off in Paris with a bus tour giving you the best overview of the City of Lights from the top deck of a double decker bus. 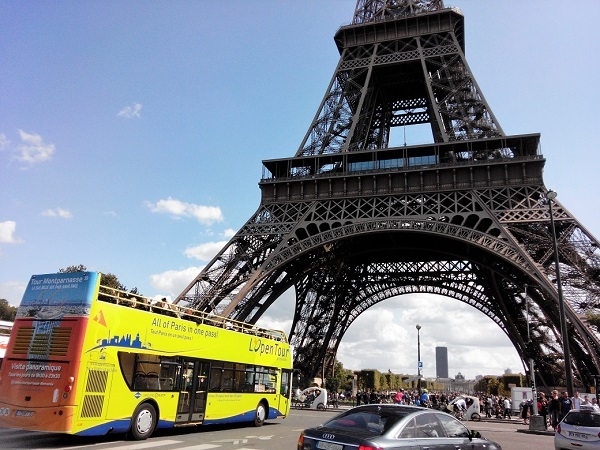 You can see all of the major historical and celebrated landmarks in Paris by taking the different circuits of the bus. 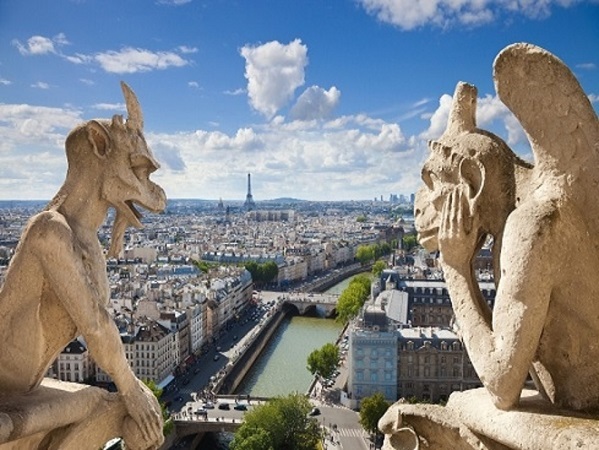 Each circuit routes you past some of the most famous monuments of Paris. 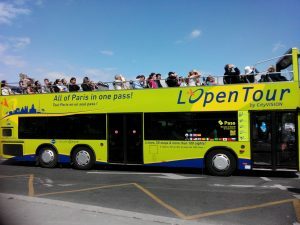 You can explore the different neighborhoods and landmarks by hopping off and hopping back on the bus at many different bus stops, whenever you want. 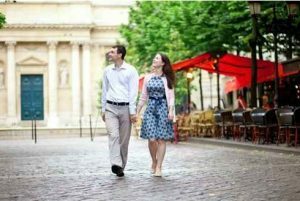 During the day, explore in-depth some of Paris’ most beautiful neighborhoods with a self-guided walking tour. 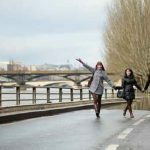 Choose which area you’re most interested in visiting and discover it with ParisByM’s walking itineraries. You can choose between the historical center around Notre Dame, Le Marais, the Champs Elysées, Saint Germain des Prés, the Latin Quartier… Navigate through your chosen areas and our walking itinerary will make sure you see the most significant and alluring parts of each quarter. 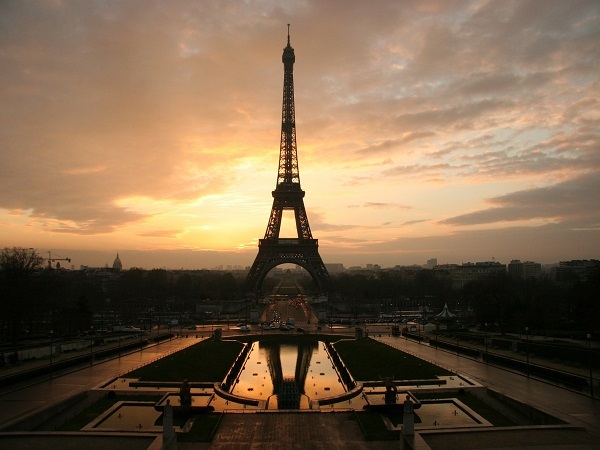 In the morning take a discovery cruise on the magnificent Seine River. 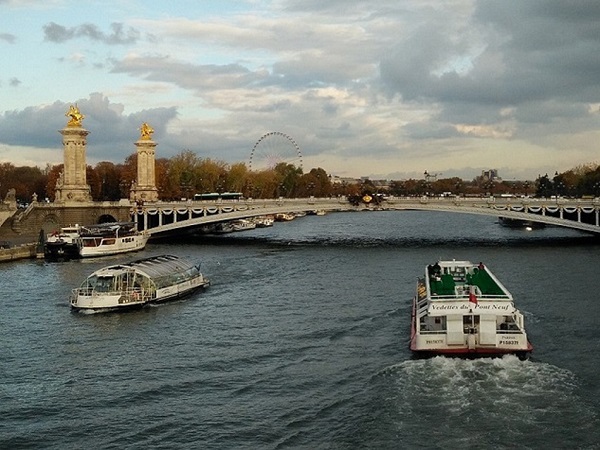 See Paris from an uncommon and breathtaking perspective as you enjoy the hour-long boat ride. 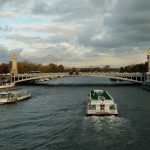 The historical building of Paris was centered around the river and, as such, some of the best monuments and buildings lie along the banks of the Seine. 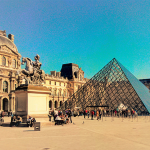 In the afternoon wander around the most famous and biggest museum in the world – the Louvre. 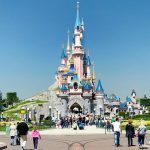 Avoid the hassle of waiting in lines with the other herds of tourists and use your fast-track entrance to get in right away. 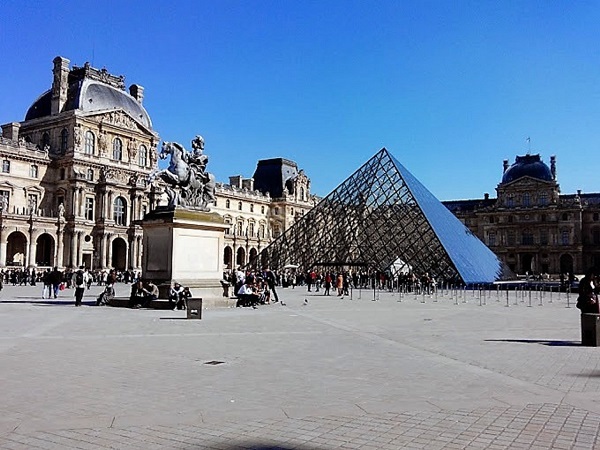 You can plan to see the major artistic works (Mona Lisa, Venus of Milo, Winged Victory of Samotrace) or you can just amble around at your pace and get lost in the amazing treasure-trove of artworks that is the Louvre. 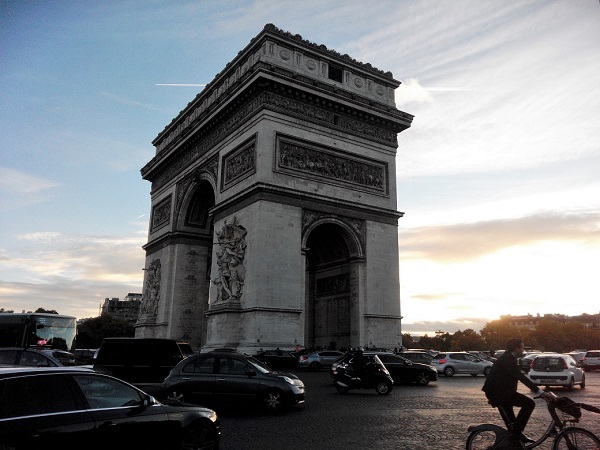 This hotel is located mere minutes from the Arc de Triomphe and the world-famous Champs-Élysées avenue. This hotel also has comfortable accommodations and great service according to international standards. 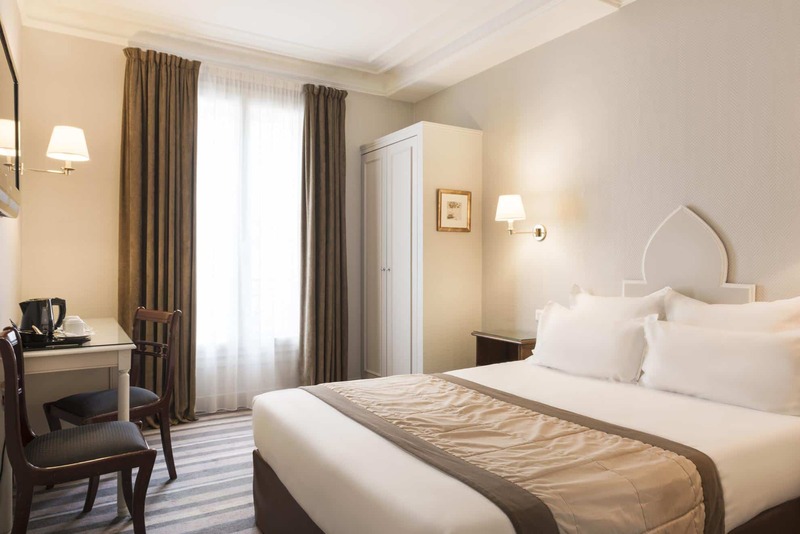 This hotel is conveniently located near the Louvre and Opéra Garnier. The metro is nearby from which you can access all of Paris. 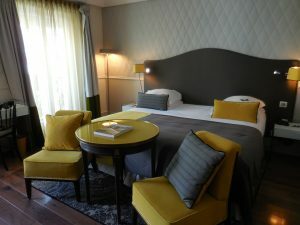 This step up in hotel standard can be seen in its more elegant rooms and services. The hotel also has an upscale restaurant. Enjoy this luxurious hotel and its sumptuous and spacious accommodations. 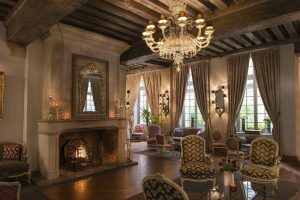 This hotel is located in Saint Germain area nearby to Notre Dame, the Louvre Museum, and the Orsay Museum. You will receive top of the line service and have access to the elegant café. Note: the name of the hotel selected will be confirmed once the payment is processed. You will be accommodated in hotels equivalent to the ones listed above, according to availability at the time of booking. 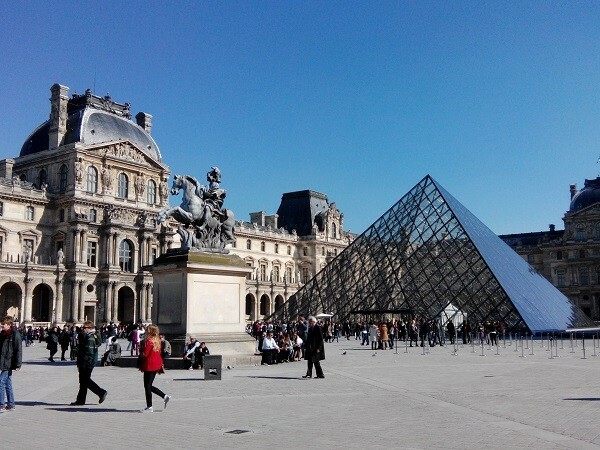 ✓ We recommend that you consider at least 2 hours to visit the Louvre Museum to focus on the main masterpieces. We will provide you with a masterpieces itinerary in our package. If you really want to see some other specific pieces, you should plan it out in advance so that you do not waste time and get lost in the museum (which is easily possible!). ✓ For the cruise: bundle up if you are wishing to stay on the deck. The wind can be chilly! And during Fall/Winter it’s also very important. ✓ Think about your meals in advance. The Parisians eat much later than Americans for instance and some restaurants close at certain times for service change. Peak hour for lunch is 12 to 2pm, for dinner it’s 8 to 10pm. For fancier restaurants reservations are highly recommended. Otherwise a lunch on the go is a great option too! Boulangeries offer some great “menu” options for lunch where you can get a couple items for a set price. ✓ Depending on if you want to walk a lot or not, you can buy metro tickets by the unit or a pass valid for a full day unlimited (which includes access to metro, bus, tram, RER).